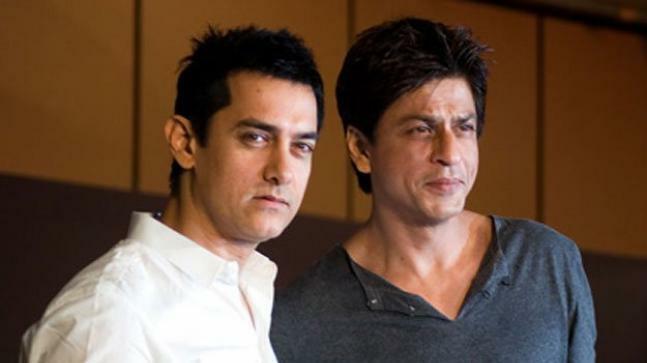 Aamir Khan said Sunday that he suggested Shah Rukh Khan's name for the biopic on astronaut Rakesh Sharma as he thought his contemporary would be an apt choice for the project. Reportedly titled "Saare Jahaan Se Achcha", the film was first offered to Aamir and Priyanka Chopra. It was Priyanka who had confirmed Aamir's name for the biopic earlier. When asked the reason of giving up the project, Aamir said he had his reasons. "It is a great script. I loved the script and the story of Mr Sharma is fascinating. It is true that I called up Shah (Shah Rukh). I said, 'Shah you should hear the script, it is fantastic. It will be right for you, if you like it'. "I am glad he liked the script and he is doing it," he said in an interview here. Mahesh Mathai will direct the film from Anjum Rajabali's script. The film will be produced by Siddharth Roy Kapur and Ronnie Screwvala under their banners Roy Kapur Films and RSVP Films, respectively. There were reports that Bhumi Pednekar has been signed opposite Shah Rukh in the film, but Screwvala recently told PTI that an official announcement on casting will be made soon. The makers will start work on the biopic early next year. Recently, Shah Rukh revealed Salman Khan suggested his name for "Zero". The film was initially offered to Salman. And Aamir believes this is how things should work in the film industry where actors suggest each other's name for respective projects. "... I am certainly not competitive and I have not felt that with Shah Rukh and Salman," he added. Aamir's next is "Thugs of Hindostan", in which he stars with Amitabh Bachchan, Katrina Kaif and Fatima Sana Sheikh. The film is slated to release on November 8.